Bohemian chic and right on trend! 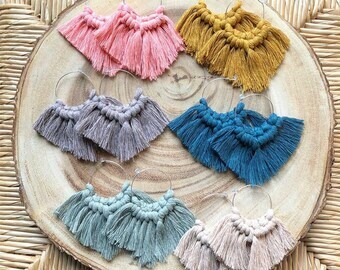 Make a statement with these ultra lightweight handcrafted fringe earrings. 1 1/2 inch diameter hoops are available in sterling silver or 14k gold fill with a large variety of color options. Did I mention they are entirely handmade with love and Extremely lightweight? Choose your finish and color in the dropdown menus! 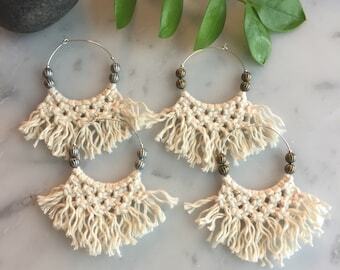 Really cute earrings. Fast shipping. Love love love!!! So on trend right now! Love these! Packaged great and got them so fast! Getting more colors! 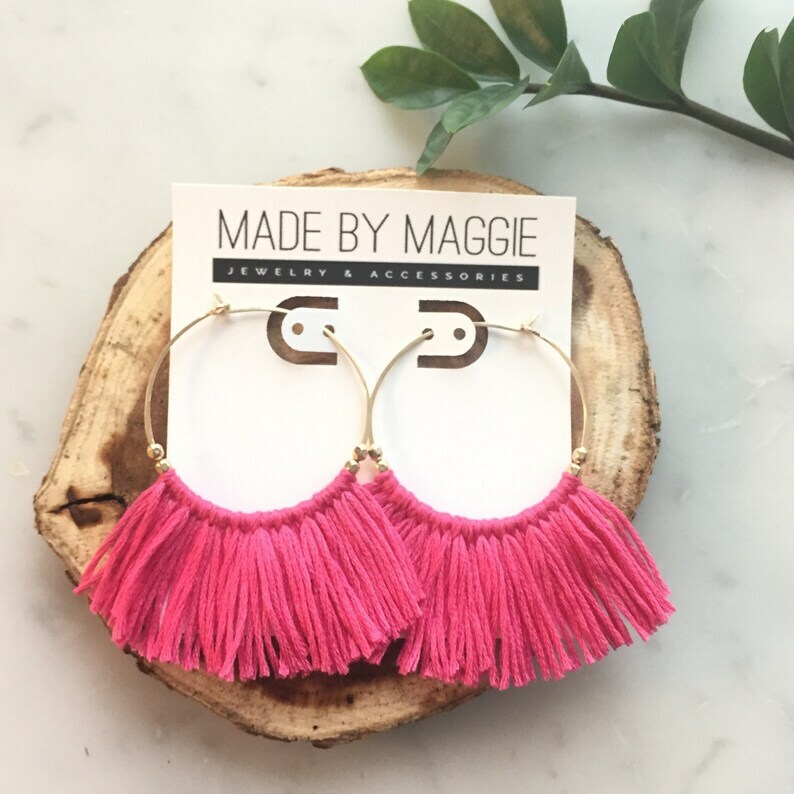 I just love the fun statement these make-I want more colors!! !